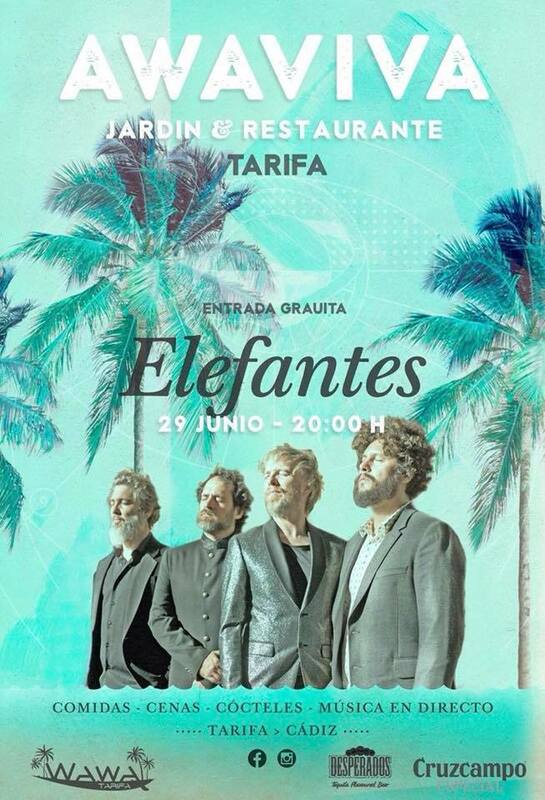 Today from 20:00 in the Hotel “WAWA TARIFA” in concert the famous musical group “Elephants” and will be extraordinarily free. This group of pop / rock music from Barcelona, Spain, was formed in 1994 by Shuarma (singer and composer), Jordi Ramiro (drummer), Julio Cascán (bass) and Hugo Toscano (guitarist) and now after a long musical career we have the pleasure to receive you in Tarifa. You really can not lose it.